The most unique Advent Calendar available this Holiday Season! Unlike any Advent Calendar you've seen before. If you prefer a more traditional eBook rendition of this story, please check out our new eBook app edition "On the First of December." You can see that app by clicking on More iPad Apps by Sentactio. 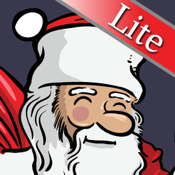 Holiday Advent Calendar HD Lite (exclusively for the iPad) is a professionally hand drawn scene that starts on December 1st. Each day for 12 days different holiday music plays and an ornament appears somewhere on the scene. When the ornament is tapped it fades away to reveal a new graphical surprise and then zooms in for an amazing view into the detailed illustration. Holiday Advent Calendar HD is a great way to bring the family together and start a new annual holiday tradition. Gather together to see what new surprise awaits each day. Can you and your family guess what each new day from December 1st to December 12th will bring? • Hand drawn scene created by artist Harry Lau. • 12 days of new art to surprise and delight you from December 1st to December 12th. • 5 songs of classic Christmas music including: Oh Christmas Tree, Deck the Halls, It Came Upon A Midnight Clear, Good King Wenceslas, Greensleeves and a bonus track of Vivaldi's Four Seasons. • Reset option so you can view each day again from December 1st. • Ability to unlock the calendar so you can enjoy it all year long.